In the connector between St. Mary Church and the Parish Hall, we are happy and excited to offer an excellent Catholic Resource Center for both parishioners and visitors. 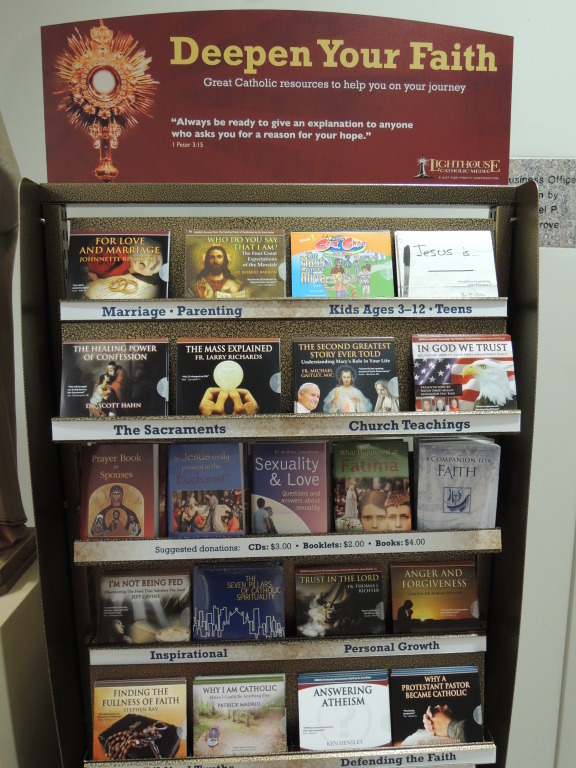 Providing an impressive selection of CDs, books, booklets, and pamphlets for formation and evangelization, this Resource Center can be a excellent aid and reference point for those striving to delve into their faith, better understand the Catholic Church, and develop their relationship with God. Suggested donations can be found on the kiosk.